Do you own an junk Daewoo auto and are looking for a quick way to make cash? Are you willing to sell your unwanted car right at the moment? Do you live around greater Dandenong of Melbourne, Victoria? If you answer yes to all of those questions then you are the right candidate for us! 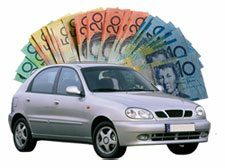 We buy used, unwanted, old, broken, and junk Daewoo cars in Dandenong and we pay in cash on the spot! Why keep your broken car when you can get cash for it instead? Think about it, with the amount of cash we’ll pay you, you can use that to buy a new car or at least add it to your budget for buying a new car. We are Daewoo wreckers Dandenong and we want to buy your junk vehicle today. No hassle, very little paperwork, and you don’t have to pay for anything. We will shoulder everything, and all you have to do is give us a call at our office. We are main competitors of other big Daewoo salvage companies in Melbourne and we beat all quotes from these companies. Getting cash for junk Daewoo autos in Dandenong has never been easier. We have revolutionized the car wrecking industry in Melbourne and we want you to experience our service first-hand. If you want to sell your car to us, simply follow the easy steps below. Remember: everything is free! So don’t hesitate to get in touch with us today. Our Daewoo Wreckers Dandenong hotline is 03 9132 5070. Simply give us a call and wait for our expert agents to answer. When our car expert answers your call, they will ask you a few questions regarding your car. All you have to do is tell us about your car make, model, age, as well as the mechanical and/or physical damages that it may have. This will allow us to give you an accurate price evaluation. After providing us all the information we need, our agents will use a specialized software to give you a quick price quote. Note that we are willing to offer a much higher price than what the software provides, and we’re willing to beat our competitors’ offers too! In this step, you have all the freedom to decide whether to continue selling your junk car to us. If you do, then proceed to Step 5. If you agree with our offer, simply set a specific date and time for us to come and go to your address. If the car is no longer running, we will offer free car collection & removals services. Simply inform us beforehand if the car is in a difficult position so we can bring all the necessary equipment. If you think selling your junk Daewoo for cash in Dandenong is hard, contact us and we will prove you wrong. Daewoo wreckers Dandenong simplifies the process and you won’t have to exert any money or effort. Call us now at any time during business hours for free quotation. We also provide Nissan dismantling Dandenong and Subaru wrecking services in the same suburb.